The UFC is full of really hot male athletes. We usually get to see them in underwear during the weigh-in. 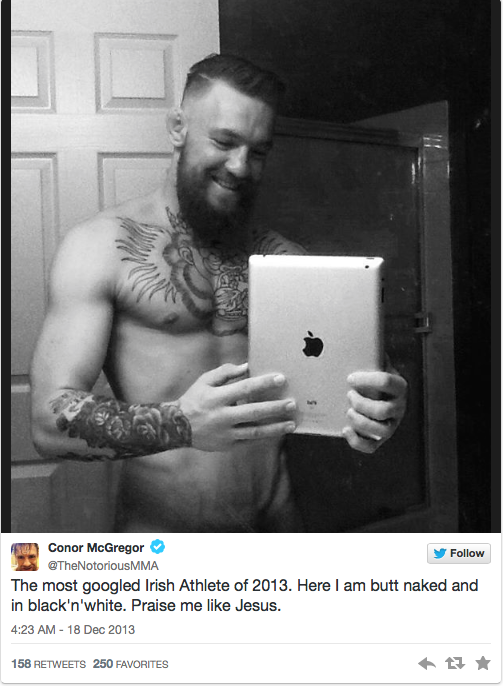 Some fighters, like Conor McGregor like to create a buzz for himself on social media. He posted this naked selfie on Twitter.